The teams visiting Disney’s Wild World of Sports kicked off their Pop Warner Super Bowl International Bowl games on Monday in the light Florida rain. 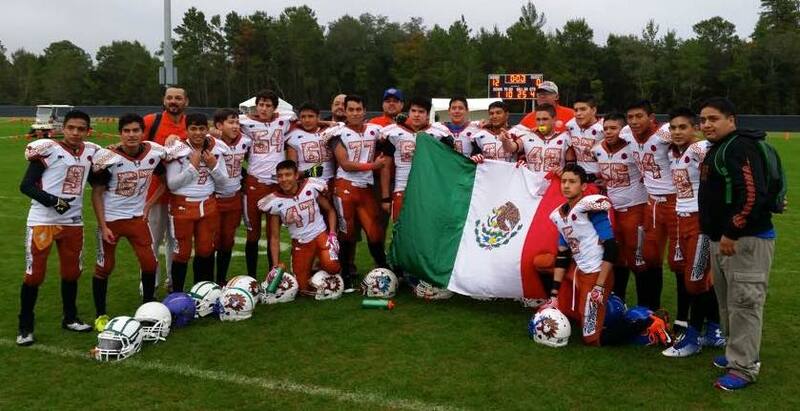 In the 13 to 14-year-olds Midget division, Canada narrowly beat Queretaro from Mexico 8-6 as the clock ran out with Queretaro at their opponent’s 5-yard line. Two other Mexican teams recorded wins as Toluca triumphed 35-0 over the Emirates American Football League (EAFL) Falcons youngsters making their debut at the Pop Warner showcase event. Puebla then won 12-0 against compatriots Mexico City. In the Junior Midget 11 to 12-year-olds division, Puebla scored 26 unanswered points against the EAFL Falcons from the Emirates. The teams return to adjoining fields 26 and 28 in the Midget division on Thursday with two Mexican games at 11am between Queretaro and Mexico City, while Toluca face Puebla. At 1pm the EAFL Falcons take on Canada. Mexico City and Puebla will face off at 1pm on field 28 in the Junior Midget division. Click here for the Pop Warner Super Bowl International Bowl bracket.